Deciding on what type of air filtration system is best for your home can be a complicated process. Everyone wants less dust in their home! Starting with a good quality furnace and duct cleaning will greatly help. Once that is done, lets get a good filter in there! There is always the balance to restricting the air flow just enough to capture the particles in the air, yet not enough to burn out your furnace. The higher the rating of the filter, the smaller the particles that it captures. This also usually results in the increase of the frequently that you will need to change the filter. Our sales team is trained to balance your needs are and balance with your world demands coupled along with budget! 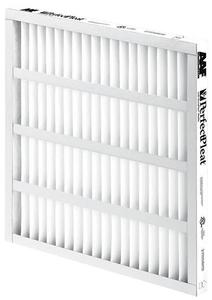 Pleated air filters are more effective, cost-effective, last longer, and available with a variety of media types for specific applications. Matching the right MERV rating to your needs will improve your home’s air quality and will extend the life of your furnace. PerfectPleat SC M8 filters are designed to consistently increase efficiency throughout the service life of the filter. They have an initial MERV 8 rating respectively, but the efficiency increases significantly when dust loading begins. PerfectPleat SC M8 filters have distinctive self-supporting characteristics that allow a pleating pattern, which promotes airflow and maximizes dust holding capacity (DHC). The PerfectPleat SC M8 filter is best suited for standard capacity pleated panel filter applications, where pleated filters are currently in use. They can also be used to upgrade applications using panel filters. Download the product brochure to learn more! 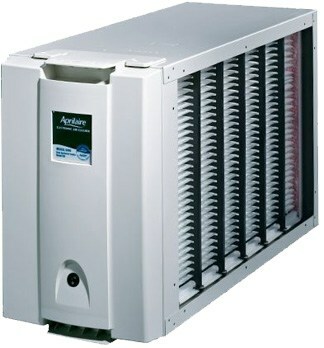 The Aprilaire Model 2210/2410 (MERV 13) Air Purifier is the best choice for homeowners who suffer from allergies. Equipped with state-of-the-art filter media, the Model 2210/2410 whole-home air purifier delivers exceptionally clean air throughout your home at an affordable price. Why suffer from airborne allergens, when you can remove them for good? See more info on model 2210 here! The Aprilaire Model 1210/1410 (MERV 11) Air Purifier provides highly efficient, whole-home air cleaning and effective removal of pollen and mold. Download the Aprilaire model 1210/ 1410 owners manual. 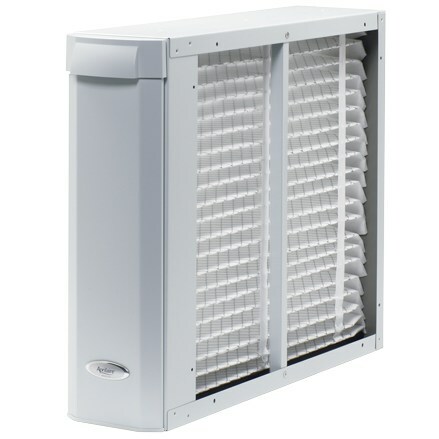 This Aprilaire model will get rid of the smallest particles, cleaning up to 98% of indoor air. With little maintenance required, it prevents dust building up in your house. Download the Aprilaire model 5000 owner’s manual here. 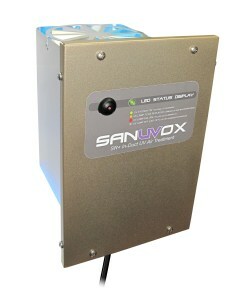 Help prevent the spread of influenza and improve your indoor air quality with Sanuvox’s whole home UV Air Treatment System. 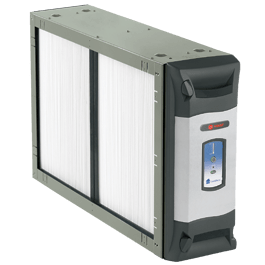 This UV Air Treatment destroys viruses, mould, bacteria, chemicals, cigarette smoke, odors, volatile organic compounds (VOC’s), and even diesel fumes. At Acclaimed! We have the perfect humidifier for every type of home. The Acclaimed! staff has over 40 years of collective experience in the indoor air quality industry. We are your local indoor air quality specialists, offering a wide range of quality products and services, guaranteed to provide you with total home comfort.